William and Mary was much the best in the Henry Mercer Memorial Stakes. Photo by Coady Photography. Once-beaten William and Mary is a solid favorite to win the fourth race of his career in tonight’s season opener at Charles Town Races, the $50,000 Tri-State for three-year-olds going 7 furlongs. 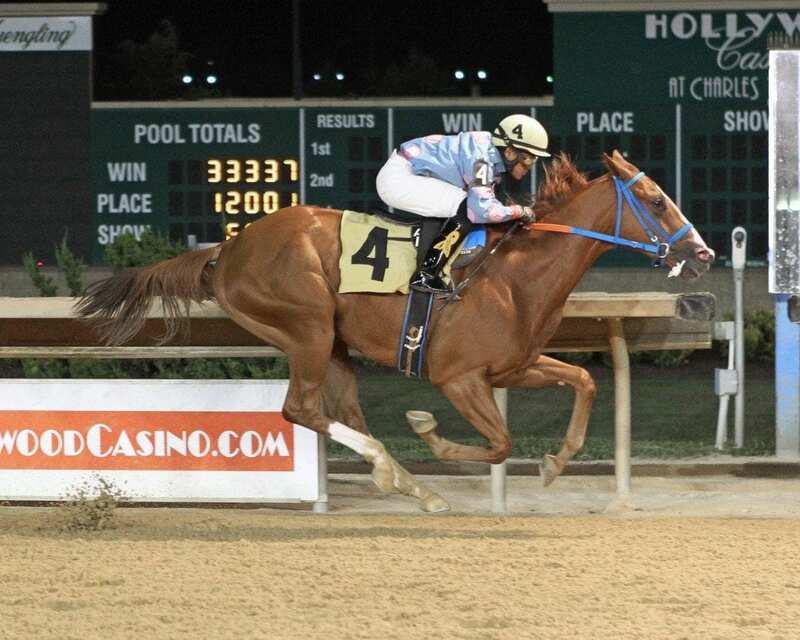 The Tri-State, typically known as the Tri-State Futurity and limited to two-year-olds, was postponed from late last month by a dearth of entries. Tonight, six are scheduled to face the starter. William and Mary, a homebred Windsor Castle for trainer James W. Casey, won his first two races, including the Henry Mercer Memorial. His lone defeat, at 1-5 odds, came in a division of the West Virginia Futurity, when he was bested by another once-beaten Casey runner, the speedy filly Bound to Windsor. William and Mary, even-money on the morning line, last raced in late November, winning an allowance by five lengths. Antonio Lopez will ride. If the morning line is correct, William and Mary’s toughest competition may come from another Casey-trained runner, Binn Goode (3-1). Though this Windsor Castle gelding has just one win in eight starts, he’s finished in the money in all but one of those. He achieved his best career result when third, beaten three lengths, in the other division of the WV Futurity, behind Punch Your Brother — but this division was nearly two second slower than that contested by William and Mary. Christian Hiraldo will ride. Of course, not all the contenders are trained by Casey — it just feels that way. William R. Lewis will send out True Heir (9-2), who actually finished ahead of Binn Goode in their division of the WV Futurity, running second while beaten a length-and-change. But he’s seen the favorite in her twice and been well-beaten both times, enters off a 12-length loss against allowance foes, and will need to find his very best. Gustavo Larrosa is up. Mr. Jacoby, trained by John McKee, has danced all the dances, running in the Mercer Memorial, Vincent Moscarelli Memorial, and WV Futurity. But he hasn’t been better than fourth in any of those and enters here with consecutive losses in allowance company. Fredy Peltroche is up. The Tri-State goes as race one. Post time is 7:00 p.m.